Following deluge into the previous two stages in the Tatr mountains, including a hellish ride on Saturday with more than 80 abandons, and after crashes -with Fran Ventoso and Andrey Amador retired, fortunately not seriously hurt-, frozen hands… the last day of the 2016 Tour de Pologne the Movistar Team the taste of victory. And it came in a very unexpected, dominant way. Alex Dowsett -28’59” to complete the 25km flat TT stage seven in Kraków- and Jonathan Castroviejo, 22” down on his team-mate, made the expectations of DS José Luis Jaimerena become reality as the Blues snatched a one-two that marks their 31st success of the year, now just five short of their all-time record high of 36 in 1998. Rubén Fernández also featured prominently for the Movistar Team in Poland. The 25-year-old climber fron Murcia jumped two places forward in the overall classification on this final day, from 8th to 6th, following a nice TT performance to second his big effort to 8th in Zakopane’s circuit on Saturday. There, the one-man-show by Tim Wellens (LTS) all but secured triumph for him in the 2016 edition, the Belgian following the steps of 2015 victor Ion Izagirre who now defends the Blues’ pavillion in the Tour de France. Alex Dowsett: “I knew it was going to be difficult - the difficult thing for me was actually getting to the stage. Yesterday, unfortunately we didn’t race, but it would have been really tough for me, the day before being just as hard just to make it through. "I got here and looking at who was in the field, there were a couple of guys that could be near me if I had just ‘good’ legs, but I knew I stood a good chance of winning. In the end, the time trial went well for me: legs felt well all the way through, the numbers were good - I’m just happy with how it all went. It’s a big one, especially considering the important community of haemophiliacs here in Poland. 28 Yates, Simon Orica-BikeExchange s.t. 30 Gilbert, Philippe BMC s.t. 36 Stachowiak, Adam Verva-ActiveJet s.t. 39 Maestri, Mirco Bardiani-CSF s.t. 41 Hofland, Moreno LottoNL-Jumbo s.t. 42 Manzin, Lorenzo FDJ s.t. 44 Paulinho, Sérgio Tinkoff s.t. 46 Kort, Koen de Giant-Alpecin s.t. 53 Gołaś, Michal Team Sky s.t. 56 Réza, Kévin FDJ s.t. 57 Mamykin, Matvei Katusha s.t. 59 Minard, Sébastien Ag2r-La Mondiale s.t. 61 Skujiņš, Toms Cannondale-Drapac s.t. 62 Cieślik, Paweł Verva-ActiveJet s.t. 65 Gerts, Floris BMC s.t. 85 Mejías, Javier Novo Nordisk s.t. The Race: Halfway through the shortened 6th stage, hard, cold rain caused the orgainzer's to cancel the stage. The standings, with Tim Wellens leading the GC, remain unchanged. The Race: It was a day of terrible, cold rain that caused nearly half the peloton to abandon. 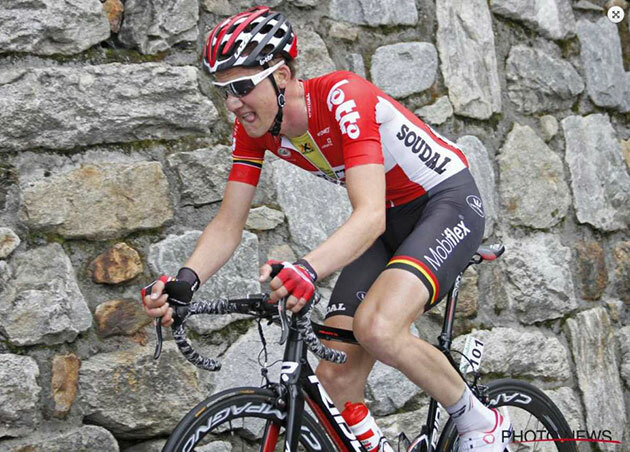 Tim Wellens showed his incredible climbing skills during the fifth stage at Tour de Pologne. He finished off a stunning solo of 45 kilometres. The 25-year old Belgian obtained his third victory of the season, therefore Lotto Soudal already won fifteen races in 2016. The breakaway wasn’t formed immediately as the opening of the stage was very hectic and the weather was really bad. Eventually, eighteen riders managed to go clear from the peloton, Sander Armée and Tim Wellens were part of it. Not long after that, Armée was reeled in by the peloton along with several other riders. A few moments later, a lot of attempts were made in the front group. Wellens took initiative and tried to get away. At 45 kilometres from the finish, Wellens accelerated again and this time he managed to drop his co escapees. What followed was a huge effort. No one was able to close the gap to the very strong Wellens and he won the stage. Thanks to this performance, the Belgian rider is also the new leader on GC. Tiesj Benoot finished nicely third and he’s also third on GC at 4’50” of Wellens. Lotto Soudal finished with four riders in the top twenty of the stage; an excellent performance. 7 Zeits, Andrey Astana s.t. 11 Cataldo, Dario Astana s.t. 19 Denz, Nico Ag2r-La Mondiale s.t. 25 De Marchi, Alessandro BMC s.t. 26 Roglič, Primož LottoNL-Jumbo s.t. 27 Großschartner, Felix CCC Sprandi Polkowice s.t. 31 Campenaerts, Victor LottoNL-Jumbo s.t. 32 Paterski, Maciej CCC Sprandi Polkowice s.t. 35 Kwiatkowski, Michal Sky s.t. 36 Gerts, Floris BMC s.t. 37 Simón, Jordi Verva-ActiveJet s.t. 38 Puccio, Salvatore Sky s.t. 39 Houle, Hugo Ag2r-La Mondiale s.t. 40 Mejías, Javier Novo Nordisk s.t. 41 Smith, Dion ONE Pro Cycling s.t. 42 De La Parte, Victor CCC Sprandi Polkowice s.t. 43 Urán, Rigoberto Cannondale-Drapac s.t. 44 Petilli, Simone Lampre-Merida s.t. 45 Ovechkin, Artem Gazprom-RusVelo s.t. 46 Mori, Manuele Lampre-Merida s.t. 47 Štybar, Zdeněk Etixx-Quick Step s.t. 48 Lagutin, Sergey Katusha s.t. 49 Armée, Sander Lotto-Soudal s.t. 50 Tuft, Svein Orica-BikeExchange s.t. 51 Vervaeke, Louis Lotto-Soudal s.t. 54 Dowsett, Alex Movistar s.t. 55 Colbrelli, Sonny Bardiani-CSF s.t. 56 Bennati, Daniele Tinkoff s.t. 57 Aregger, Marcel IAM Cycling s.t. 58 Manzin, Lorenzo FDJ s.t. 59 Planet, Charles Novo Nordisk s.t. 60 Sutherland, Rory Movistar s.t. 61 Boev, Igor Gazprom-RusVelo s.t. 62 Winden, Dennis van LottoNL-Jumbo s.t. 63 Simion, Paolo Bardiani-CSF s.t. 64 Elissonde, Kenny FDJ s.t. 65 Brutt, Pavel Tinkoff s.t. 66 Bouwman, Koen LottoNL-Jumbo s.t. 67 Beppu, Fumiyuki Trek-Segafredo s.t. 68 Kort, Koen de Giant-Alpecin s.t. 69 Marycz, Jaroslaw CCC Sprandi Polkowice s.t. 70 Owsian, Łukasz CCC Sprandi Polkowice s.t. 71 Hofland, Moreno LottoNL-Jumbo s.t. 72 Paulinho, Sérgio Tinkoff s.t. 73 Poppel, Boy van Trek-Segafredo s.t. 74 Haig, Jack Orica-BikeExchange s.t. 75 Fraile, Omar Team Dimension Data s.t. 76 Vermeulen, Alexey LottoNL-Jumbo s.t. 77 Stachowiak, Adam Verva-ActiveJet s.t. 78 Koch, Jonas Verva-ActiveJet s.t. 79 Zieliński, Kamil Poland s.t. 80 Paluta, Michał CCC Sprandi Polkowice s.t. 81 Nikolaev, Sergey Gazprom-RusVelo s.t. 82 Bérard, Julien Ag2r-La Mondiale s.t. 83 Cardoso, André Cannondale-Drapac s.t. 84 van Rensburg, Jacques Team Dimension Data s.t. 85 Battaglin, Enrico LottoNL-Jumbo s.t. 86 Bidard, François Ag2r-La Mondiale s.t. 87 Samoilau, Branislau CCC Sprandi Polkowice s.t. 88 Taaramäe, Rein Katusha s.t. 89 Hník, Karel Verva-ActiveJet s.t. 90 Solomennikov, Andrei Gazprom-RusVelo s.t. 91 De Plus, Laurens Etixx-Quick Step s.t. 92 De Backer, Bert Giant-Alpecin s.t. 93 Franczak, Paweł Verva-ActiveJet s.t. 94 Jim, Songezo Team Dimension Data s.t. 95 Kennaugh, Peter Sky s.t. 96 Barker, Yanto ONE Pro Cycling s.t. 97 Firsanov, Sergey Gazprom-RusVelo s.t. 98 Skujiņš, Toms Cannondale-Drapac s.t. 99 Minard, Sébastien Ag2r-La Mondiale s.t. 100 Waeytens, Zico Giant-Alpecin s.t. 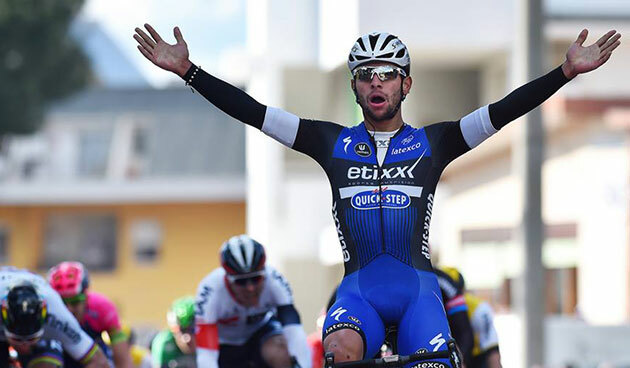 A textbook lead-out of Etixx – Quick-Step helped Fernando Gaviria extend his lead at the top of the standings. 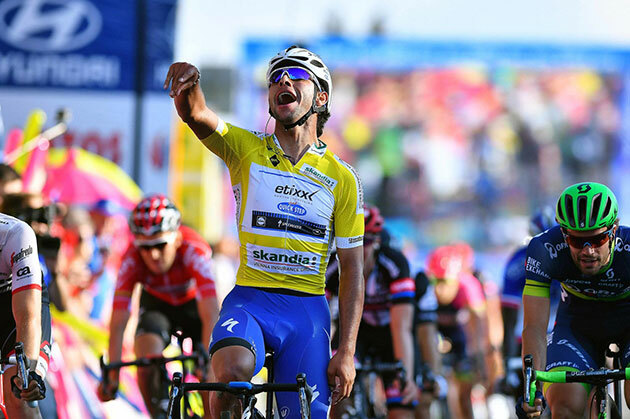 Fernando Gaviria is in scintillating form at the Tour de Pologne, where he proved to be the fastest rider of the peloton in the first four days, winning on two of them and taking his season tally to five successes. The most recent top result came on Friday, when he didn't give any chance to his opponents in the final meters of stage four, that covered 218 kilometers from Nowy Sacz to Rzeszow, the biggest city in southeastern Poland, which was hosting a finish for the fourth time in eight years. Despite holding a gap which at one point exceeded seven minutes, the day's five attackers didn't stand a chance against the peloton, controlled mainly by Etixx – Quick-Step, whose riders were keen on delivering 21-year-old Fernando Gaviria at the finish. With 20 kilometers to go, the escapees were caught by the bunch and as soon as the pace slowed down a bit, former Czech champion Zdenek Stybar tried to test the water and see if a solo attack could stick. Zdenek took ten seconds on the bunch, forcing other teams to come to the fore and bring him back. In Rzeszow, Etixx – Quick-Step hit the front once again, with three kilometers remaining, as Lukasz Wisniowski decided to put on the watts and make sure no one will take front stage. As soon as his job was finished, Bob Jungels stepped in, pushing a really hard tempo and stretching out the pack. Inside the final 700 meters, Davide Martinelli and Nikolas Maes where the ones who worked hard in order to leave Fernando in an excellent position, and the young Colombian neo-pro capitalized on the excellent job of the team and sprinted to his second victory of the week, ahead of Luka Mezgec (Orica-BikeExchange) and Michal Kwiatkowski (Team Sky). "It was a difficult day for me, because I had to deal with neck pain after crashing yesterday and my legs weren't so smooth. The team worked really well, controlled the race from the beginning and that's why I said to myself that it's important to get the job done at the finish. In the last kilometers, the guys pulled a great number to bring me at the front, Nikolas gave me an excellent lead-out and I launched my sprint. For a second, I thought I will lose the race, because Mezgec was coming really strong from behind, but I found the power to change the gear and had the legs to keep on going and cross the line first. It was a victory of the head more than of the legs and at the same time a win of the entire team. I'm really proud of my teammates", a delighted Fernando explained at the finish, after the success which gives him a 19-second cushion over the next rider in the GC. Getting the victory and donning the yellow jersey for a third consecutive day weren't the only things on Fernando's mind, who wanted to express his sympathy towards all the people saddened and affected by the terror attack which took place in Nice, on Bastille Day: "The only thing that makes me sad after this victory is what happened in France, on Thursday evening. It's impossible not to think of it and I want to send my thoughts and condolences to the families of the victims and to all those who are suffering and in pain. I really hope such things will come to an end, because it's really crazy that we can't live in a world of peace and understanding." 2 Mezgec, Luka Orica-BikeExchange s.t. 3 Kwiatkowski, Michal Sky s.t. 4 Haussler, Heinrich IAM Cycling s.t. 5 Poppel, Boy van Trek-Segafredo s.t. 6 Waeytens, Zico Giant-Alpecin s.t. 7 Benoot, Tiesj Lotto-Soudal s.t. 9 Sbaragli, Kristian Dimension Data s.t. 10 Réza, Kévin FDJ s.t. 11 Urán, Rigoberto Cannondale-Drapac s.t. 12 Smith, Dion ONE Pro Cycling s.t. 13 Simón, Jordi Verva-ActiveJet s.t. 14 Maikin, Roman Gazprom-RusVelo s.t. 15 Modolo, Sacha Lampre-Merida s.t. 16 Bennati, Daniele Tinkoff s.t. 18 Offredo, Yoann FDJ s.t. 19 Houle, Hugo Ag2r-La Mondiale s.t. 20 Zieliński, Kamil Poland s.t. 21 Domagalski, Karol ONE Pro Cycling s.t. 22 Kort, Koen de Giant-Alpecin s.t. 23 Gerts, Floris BMC s.t. 24 Ulissi, Diego Lampre-Merida s.t. 25 Jungels, Bob Etixx-Quick Step s.t. 26 Vliegen, Loïc BMC s.t. 27 Gilbert, Philippe BMC s.t. 28 Campenaerts, Victor LottoNL-Jumbo s.t. 29 Maes, Nikolas Etixx-Quick Step s.t. 30 Clarke, Simon Cannondale-Drapac s.t. 31 Cataldo, Dario Astana s.t. 32 Roche, Nicolas Sky s.t. 33 Keukeleire, Jens Orica-BikeExchange s.t. 34 Cieślik, Paweł Verva-ActiveJet s.t. 35 Paterski, Maciej CCC Sprandi Polkowice s.t. 36 Bettiol, Alberto Cannondale-Drapac s.t. 37 Maestri, Mirco Bardiani-CSF s.t. 38 Zeits, Andrey Astana s.t. 39 Warbasse, Larry IAM Cycling s.t. 40 Haig, Jack Orica-BikeExchange s.t. 41 Fernández, Rubén Movistar s.t. 42 Monfort, Maxime Lotto-Soudal s.t. 43 Lagutin, Sergey Team Katusha s.t. 45 De Clercq, Bart Lotto-Soudal s.t. 46 Taaramäe, Rein Team Katusha s.t. 47 Wellens, Tim Lotto-Soudal s.t. 48 Hník, Karel Verva-ActiveJet s.t. 49 Kolobnev, Alexandr Gazprom-RusVelo s.t. 50 Elissonde, Kenny FDJ s.t. 51 Ventoso, Francisco Movistar s.t. 52 Quintana, Dayer Movistar s.t. 53 Chernetski, Sergei Team Katusha s.t. 54 Štybar, Zdeněk Etixx-Quick Step s.t. 55 De Plus, Laurens Etixx-Quick Step s.t. 56 Péraud, Jean-Christophe Ag2r-La Mondiale s.t. 57 Felline, Fabio Trek-Segafredo s.t. 58 Gołaś, Michal Sky s.t. 59 Cardoso, André Cannondale-Drapac s.t. 60 Castroviejo, Jonathan Movistar s.t. 61 Hansen, Jesper Tinkoff s.t. 62 Visconti, Giovanni Movistar s.t. 63 Siutsou, Kanstantsin Dimension Data s.t. 64 Amador, Andrey Movistar s.t. 65 König, Leopold Sky s.t. 66 Restrepo, Jhonatan Team Katusha s.t. 67 Špilak, Simon Team Katusha s.t. 68 Roglič, Primož LottoNL-Jumbo s.t. 69 Bidard, François Ag2r-La Mondiale s.t. 70 Puccio, Salvatore Sky s.t. 71 Manzin, Lorenzo FDJ s.t. 72 Oram, James ONE Pro Cycling s.t. 73 Bérard, Julien Ag2r-La Mondiale s.t. 74 Brutt, Pavel Tinkoff s.t. 75 Mori, Manuele Lampre-Merida s.t. 76 Mejías, Javier Novo Nordisk s.t. 77 Petilli, Simone Lampre-Merida s.t. 78 Minard, Sébastien Ag2r-La Mondiale s.t. 79 Solomennikov, Andrei Gazprom-RusVelo s.t. 80 Wiśniowski, Łukasz Etixx-Quick Step s.t. 81 Formolo, Davide Cannondale-Drapac s.t. 82 Denifl, Stefan IAM Cycling s.t. 83 Capecchi, Eros Astana s.t. 84 Großschartner, Felix CCC Sprandi Polkowice s.t. 85 De La Parte, Victor CCC Sprandi Polkowice s.t. 86 Denz, Nico Ag2r-La Mondiale s.t. 87 Yates, Simon Orica-BikeExchange s.t. 88 Firsanov, Sergey Gazprom-RusVelo s.t. 89 Rota, Lorenzo Bardiani-CSF s.t. 90 Kennaugh, Peter Sky s.t. 91 Nikolaev, Sergey Gazprom-RusVelo s.t. 92 Konovalovas, Ignatas FDJ s.t. 93 Trofimov, Yuri Tinkoff s.t. 94 Kozhatayev, Bakhtiyar Astana s.t. 95 Koch, Jonas Verva-ActiveJet s.t. 96 Niemiec, Przemysław Lampre-Merida s.t. 97 Quinziato, Manuel BMC s.t. 98 Villella, Davide Cannondale-Drapac s.t. 99 van Rensburg, Jacques Dimension Data s.t. 100 Owsian, Łukasz CCC Sprandi Polkowice s.t. 101 Fumeaux, Jonathan IAM Cycling s.t. 102 Serry, Pieter Etixx-Quick Step s.t. 103 Tleubayev, Ruslan Astana s.t. 104 Paulinho, Sérgio Tinkoff s.t. 105 Detko, Artur Poland s.t. 106 Wyss, Danilo BMC s.t. 107 Velits, Peter BMC s.t. 108 Mamykin, Matvei Team Katusha s.t. 109 Martinelli, Davide Etixx-Quick Step s.t. 110 Taciak, Mateusz CCC Sprandi Polkowice s.t. 113 Vorobyev, Anton Team Katusha s.t. 120 Marycz, Jaroslaw CCC Sprandi Polkowice s.t. 125 Hofland, Moreno LottoNL-Jumbo s.t. 126 Beppu, Fumiyuki Trek-Segafredo s.t. 127 De Backer, Bert Giant-Alpecin s.t. 128 Aregger, Marcel IAM Cycling s.t. 129 Vermeulen, Alexey LottoNL-Jumbo s.t. 130 Fröhlinger, Johannes Giant-Alpecin s.t. 131 Szeląg, Gracjan Poland s.t. 132 Rekita, Szymon Poland s.t. 133 Dowsett, Alex Movistar s.t. 134 Williams, Peter ONE Pro Cycling s.t. 135 Viviani, Elia Sky s.t. 136 Sagan, Juraj Tinkoff s.t. 137 Paluta, Michał CCC Sprandi Polkowice s.t. 138 Samoilau, Branislau CCC Sprandi Polkowice s.t. 139 Barker, Yanto ONE Pro Cycling s.t. 140 Stachowiak, Adam Verva-ActiveJet s.t. 141 Barbin, Enrico Bardiani-CSF s.t. 142 Ruffoni, Nicola Bardiani-CSF s.t. 143 Smukulis, Gatis Astana s.t. 144 Winden, Dennis van LottoNL-Jumbo s.t. 145 Jim, Songezo Dimension Data s.t. 146 Konwa, Piotr Poland s.t. 147 Petrov, Evgeni Tinkoff s.t. 149 Fischer, Murilo FDJ s.t. 150 Arndt, Nikias Giant-Alpecin s.t. 152 Simion, Paolo Bardiani-CSF s.t. 153 Boem, Nicola Bardiani-CSF s.t. 154 Walscheid, Max Giant-Alpecin s.t. 155 Agnoli, Valerio Astana s.t. 156 Devolder, Stijn Trek-Segafredo s.t. 157 Costa, Mário Lampre-Merida s.t. 158 Bonifazio, Niccolo Trek-Segafredo s.t. 159 Batek, Dariusz Poland s.t. 160 Williams, Chris Novo Nordisk s.t. 161 Verschoor, Martijn Novo Nordisk s.t. 162 Stamsnijder, Tom Giant-Alpecin s.t. 163 Fournier, Marc FDJ s.t. 164 Alafaci, Eugenio Trek-Segafredo s.t. 165 De Buyst, Jasper Lotto-Soudal s.t. 166 Pelucchi, Matteo IAM Cycling s.t. 167 Guardini, Andrea Astana s.t. 168 Franczak, Paweł Verva-ActiveJet s.t. 169 Lozano, David Novo Nordisk s.t. 170 Planet, Charles Novo Nordisk s.t. 171 Gradek, Kamil Verva-ActiveJet s.t. 172 Armée, Sander Lotto-Soudal s.t. 173 Białobłocki, Marcin ONE Pro Cycling s.t. 174 Opie, Chris ONE Pro Cycling s.t. 175 Bouwman, Koen LottoNL-Jumbo s.t. 176 Clancy, Stephen Novo Nordisk s.t. 177 Leezer, Tom LottoNL-Jumbo s.t. 178 Vervaeke, Louis Lotto-Soudal s.t. 179 Brammeier, Matt Dimension Data s.t. 180 Ferrari, Roberto Lampre-Merida s.t. 181 Goss, Matthew ONE Pro Cycling s.t. 182 Docker, Mitchell Orica-BikeExchange s.t. 183 Hesjedal, Ryder Trek-Segafredo s.t. 184 Tuft, Svein Orica-BikeExchange s.t. 185 Woods, Michael Cannondale-Drapac s.t. 6 Maikin, Roman Gazprom-RusVelo s.t. 7 Modolo, Sacha Lampre-Merida s.t. 8 Gerts, Floris BMC s.t. 9 Gilbert, Philippe BMC s.t. 10 Zieliński, Kamil Poland s.t. 11 Benoot, Tiesj Lotto-Soudal s.t. 13 Fernández, Rubén Movistar s.t. 14 Simón, Jordi Verva-ActiveJet s.t. 15 Jungels, Bob Etixx-Quick Step s.t. 16 Clarke, Simon Cannondale-Drapac s.t. 17 Cataldo, Dario Astana s.t. 18 Chernetski, Sergei Team Katusha s.t. 19 Zeits, Andrey Astana s.t. 20 König, Leopold Sky s.t. 21 Štybar, Zdeněk Etixx-Quick Step s.t. 22 Restrepo, Jhonatan Team Katusha s.t. 23 De Plus, Laurens Etixx-Quick Step s.t. 24 Tleubayev, Ruslan Astana s.t. 25 Keukeleire, Jens Orica-BikeExchange s.t. 26 Serry, Pieter Etixx-Quick Step s.t. 29 Kort, Koen de Giant-Alpecin s.t. 30 Smith, Dion ONE Pro Cycling s.t. 31 Urán, Rigoberto Cannondale-Drapac s.t. 32 Ventoso, Francisco Movistar s.t. 33 Domagalski, Karol ONE Pro Cycling s.t. 34 Haig, Jack Orica-BikeExchange s.t. 35 Vliegen, Loïc BMC s.t. 36 Campenaerts, Victor LottoNL-Jumbo s.t. 37 Quintana, Dayer Movistar s.t. 38 Hermans, Ben BMC s.t. 39 Sbaragli, Kristian Dimension Data s.t. 40 De Clercq, Bart Lotto-Soudal s.t. 41 Hansen, Jesper Tinkoff s.t. 42 Bettiol, Alberto Cannondale-Drapac s.t. 43 Cieślik, Paweł Verva-ActiveJet s.t. 44 Monfort, Maxime Lotto-Soudal s.t. 45 Mori, Manuele Lampre-Merida s.t. 46 Lagutin, Sergey Team Katusha s.t. 47 Roche, Nicolas Sky s.t. 48 Warbasse, Larry IAM Cycling s.t. 49 Špilak, Simon Team Katusha s.t. 50 Cardoso, André Cannondale-Drapac s.t. 51 Péraud, Jean-Christophe Ag2r-La Mondiale s.t. 52 Felline, Fabio Trek-Segafredo s.t. 53 Denifl, Stefan IAM Cycling s.t. 54 Großschartner, Felix CCC Sprandi Polkowice s.t. 55 Paterski, Maciej CCC Sprandi Polkowice s.t. 56 Kolobnev, Alexandr Gazprom-RusVelo s.t. 57 Minard, Sébastien Ag2r-La Mondiale s.t. 58 Wiśniowski, Łukasz Etixx-Quick Step s.t. 59 Formolo, Davide Cannondale-Drapac s.t. 60 Hník, Karel Verva-ActiveJet s.t. 61 Castroviejo, Jonathan Movistar s.t. 62 Siutsou, Kanstantsin Dimension Data s.t. 63 Capecchi, Eros Astana s.t. 64 Fumeaux, Jonathan IAM Cycling s.t. 65 van Rensburg, Jacques Dimension Data s.t. 66 Bidard, François Ag2r-La Mondiale s.t. 67 Elissonde, Kenny FDJ s.t. 69 De La Parte, Victor CCC Sprandi Polkowice s.t. 70 Offredo, Yoann FDJ s.t. 71 Brutt, Pavel Tinkoff s.t. 72 Villella, Davide Cannondale-Drapac s.t. 73 Firsanov, Sergey Gazprom-RusVelo s.t. 74 Visconti, Giovanni Movistar s.t. 75 Velits, Peter BMC s.t. 76 Rota, Lorenzo Bardiani-CSF s.t. 77 Amador, Andrey Movistar s.t. 78 Konovalovas, Ignatas FDJ s.t. 79 Taaramäe, Rein Team Katusha s.t. 80 Puccio, Salvatore Sky s.t. 81 Kennaugh, Peter Sky s.t. 82 Oram, James ONE Pro Cycling s.t. 83 Mejías, Javier Novo Nordisk s.t. 84 Niemiec, Przemysław Lampre-Merida s.t. 88 Quinziato, Manuel BMC s.t. 90 Battaglin, Enrico LottoNL-Jumbo s.t. 91 Paulinho, Sérgio Tinkoff s.t. 96 Solomennikov, Andrei Gazprom-RusVelo s.t. 113 Niyonshuti, Adrien Dimension Data s.t. 122 Beppu, Fumiyuki Trek-Segafredo s.t. 123 Vorobyev, Anton Team Katusha s.t. 141 Barker, Yanto ONE Pro Cycling s.t. 142 Williams, Peter ONE Pro Cycling s.t. 144 Dowsett, Alex Movistar s.t. 145 Petrov, Evgeni Tinkoff s.t. 157 Hesjedal, Ryder Trek-Segafredo s.t. 158 Devolder, Stijn Trek-Segafredo s.t. 164 Woods, Michael Cannondale-Drapac s.t. 165 Batek, Dariusz Poland s.t. 179 Verschoor, Martijn Novo Nordisk s.t. 182 Goss, Matthew ONE Pro Cycling s.t. The third time was the charm for Niccolo Bonifazio in the Tour of Poland as he bettered the first two stage's bunch finishes with his first WorldTour win, and first victory this year, in stage three Thursday. After a fast start, the 240-kilometer race settled when the peloton consented to a five-man breakaway, and similar to previous stages the breakway was caught and the final kilometers were thorny, this time with a few steep hills thrown in for measure. The peloton split over the narrow roads and steep climb, but regrouped ahead of the final dash to the line, and this time Bonifazio made no mistake. In the last meters, he jumped around Fernando Gaviria (Etixx-Quick Step) to take the win by a bike length. "I suffered on the steep climb 25 kilometers from the finish," explained a jubilant Bonifazio. "But I followed the Etixx (Quick Step) train to get back to the bunch with Gaviria. I recovered and then in the sprint I decided to follow Gaviria's wheel. I felt good, and I was able to pass him easily with 200 meters to go. I was confident I could do well in one of the sprints this week, and today everything went perfectly. "I am so happy because since the beginning of the year I was searching for a victory. I dedicate this win to my teammates, they have helped me for three stages and today I was finally able to pay them back with the victory." Fabio Felline, in his first stage race back from injury, did what he could for Bonifazio, but in the end, Bonifazio, under his own power and savvy, freelanced his way to the win. "I couldn't do everything I wanted for Niccolo because I had cramps. This is my first big race back, and when it went fast, I paid for it. When I finally made it to the front, he was on the other side, and I had no chance to get close. "I wished I could have helped Niccolo more, but I guess I didn't need to today! Huge respect to Niccolo because he positioned himself already in a good position. Fantastic work for him to do this solo!" "We knew that today that it could most likely come to a sprint again, "added director Dirk Demol. "It was a fast start again until five riders went away. Then all day it was a steady tempo until we came into the final, where in the last 30kms there were steep climbs and narrow roads. The peloton split into several parts and in the first 60-70 riders we only had Niccolo and Fabio (Felline). "It was a bit hectic because there was a crash and the team cars were caught behind. In the end, a group came back with Fumy (Beppu) and it was again a large peloton. Today we decided to just bring Niccolo in position to Ewan or Gaviria for the last kilometer and a half because we do not have the power here for a train. Fabio did what he could; he did a great job. We are super happy because we came here with the intention to win a stage and we have reached our goal after two days. That's super nice." 2 Hofland, Moreno LottoNL-Jumbo s.t. 3 Mezgec, Luka Orica-BikeExchange s.t. 5 Maikin, Roman Gazprom-RusVelo s.t. 6 Sbaragli, Kristian Dimension Data s.t. 7 Tleubayev, Ruslan Astana s.t. 8 Vliegen, Loïc BMC s.t. 9 Modolo, Sacha Lampre-Merida s.t. 10 Kort, Koen de Giant-Alpecin s.t. 12 Simón, Jordi Verva-ActiveJet s.t. 13 Smith, Dion ONE Pro Cycling s.t. 14 Gaviria, Fernando Etixx-Quick Step s.t. 15 Gerts, Floris BMC s.t. 16 Manzin, Lorenzo FDJ s.t. 17 Houle, Hugo Ag2r-La Mondiale s.t. 18 Domagalski, Karol ONE Pro Cycling s.t. 19 Kwiatkowski, Michal Team Sky s.t. 20 Offredo, Yoann FDJ s.t. 21 Mori, Manuele Lampre-Merida s.t. 22 Zieliński, Kamil Poland s.t. 23 Ulissi, Diego Lampre-Merida s.t. 24 Gilbert, Philippe BMC s.t. 25 Restrepo, Jhonatan Katusha s.t. 26 Ventoso, Francisco Movistar s.t. 28 Lagutin, Sergey Katusha s.t. 29 Haig, Jack Orica-BikeExchange s.t. 30 Sagan, Juraj Tinkoff s.t. 31 Clarke, Simon Cannondale-Drapac s.t. 32 Hansen, Jesper Tinkoff s.t. 33 Fernández, Rubén Movistar s.t. 34 Zeits, Andrey Astana s.t. 35 Chernetski, Sergei Katusha s.t. 37 Benoot, Tiesj Lotto-Soudal s.t. 38 Cataldo, Dario Astana s.t. 39 Bouwman, Koen LottoNL-Jumbo s.t. 40 Péraud, Jean-Christophe Ag2r-La Mondiale s.t. 41 Cieślik, Paweł Verva-ActiveJet s.t. 42 Warbasse, Larry IAM Cycling s.t. 43 König, Leopold Team Sky s.t. 44 Castroviejo, Jonathan Movistar s.t. 45 Campenaerts, Victor LottoNL-Jumbo s.t. 46 Quintana, Dayer Movistar s.t. 48 Elissonde, Kenny FDJ s.t. 49 Bennati, Daniele Tinkoff s.t. 50 Monfort, Maxime Lotto-Soudal s.t. 51 Maestri, Mirco Bardiani-CSF s.t. 52 Štybar, Zdeněk Etixx-Quick Step s.t. 53 Taaramäe, Rein Katusha s.t. 54 Jungels, Bob Etixx-Quick Step s.t. 55 De Clercq, Bart Lotto-Soudal s.t. 56 Roche, Nicolas Team Sky s.t. 57 Wiśniowski, Łukasz Etixx-Quick Step s.t. 58 Siutsou, Kanstantsin Dimension Data s.t. 59 De La Parte, Victor CCC Sprandi Polkowice s.t. 60 De Plus, Laurens Etixx-Quick Step s.t. 61 Špilak, Simon Katusha s.t. 62 Paluta, Michał CCC Sprandi Polkowice s.t. 63 Villella, Davide Cannondale-Drapac s.t. 64 Roglič, Primož LottoNL-Jumbo s.t. 65 Quinziato, Manuel BMC s.t. 66 Kolobnev, Alexandr Gazprom-RusVelo s.t. 67 Felline, Fabio Trek-Segafredo s.t. 68 Wellens, Tim Lotto-Soudal s.t. 69 Fröhlinger, Johannes Giant-Alpecin s.t. 70 Konovalovas, Ignatas FDJ s.t. 71 Minard, Sébastien Ag2r-La Mondiale s.t. 72 Cardoso, André Cannondale-Drapac s.t. 73 Yates, Simon Orica-BikeExchange s.t. 74 Fumeaux, Jonathan IAM Cycling s.t. 75 Capecchi, Eros Astana s.t. 76 Bidard, François Ag2r-La Mondiale s.t. 77 Marycz, Jaroslaw CCC Sprandi Polkowice s.t. 78 Amador, Andrey Movistar s.t. 79 Ludvigsson, Tobias Giant-Alpecin s.t. 80 Visconti, Giovanni Movistar s.t. 81 Puccio, Salvatore Team Sky s.t. 82 Brutt, Pavel Tinkoff s.t. 83 Keukeleire, Jens Orica-BikeExchange s.t. 84 Paterski, Maciej CCC Sprandi Polkowice s.t. 85 Firsanov, Sergey Gazprom-RusVelo s.t. 86 Formolo, Davide Cannondale-Drapac s.t. 87 Oram, James ONE Pro Cycling s.t. 88 Denifl, Stefan IAM Cycling s.t. 89 Beppu, Fumiyuki Trek-Segafredo s.t. 90 Owsian, Łukasz CCC Sprandi Polkowice s.t. 91 Mejías, Javier Team Novo Nordisk s.t. 92 Rota, Lorenzo Bardiani-CSF s.t. 93 Hník, Karel Verva-ActiveJet s.t. 94 van Rensburg, Jacques Dimension Data s.t. 95 Kennaugh, Peter Team Sky s.t. 97 Wyss, Danilo BMC s.t. 98 Serry, Pieter Etixx-Quick Step s.t. 99 Stachowiak, Adam Verva-ActiveJet s.t. 100 Velits, Peter BMC s.t. 101 Ewan, Caleb Orica-BikeExchange s.t. 110 Paulinho, Sérgio Tinkoff s.t. 111 Ovechkin, Artem Gazprom-RusVelo s.t. 112 Battaglin, Enrico LottoNL-Jumbo s.t. 114 Petilli, Simone Lampre-Merida s.t. 116 Trofimov, Yuri Tinkoff s.t. 117 Solomennikov, Andrei Gazprom-RusVelo s.t. 118 Samoilau, Branislau CCC Sprandi Polkowice s.t. 119 Gołaś, Michal Team Sky s.t. 124 De Marchi, Alessandro BMC s.t. 126 Szeląg, Gracjan Poland s.t. 127 Kasperkiewicz, Przemyslaw Poland s.t. 128 Konwa, Piotr Poland s.t. 129 Williams, Peter ONE Pro Cycling s.t. 130 Kadri, Blel Ag2r-La Mondiale s.t. 131 Franczak, Paweł Verva-ActiveJet s.t. 132 Boev, Igor Gazprom-RusVelo s.t. 133 Detko, Artur Poland s.t. 134 Vermeulen, Alexey LottoNL-Jumbo s.t. 135 Białobłocki, Marcin ONE Pro Cycling s.t. 136 De Backer, Bert Giant-Alpecin s.t. 137 Mohoric, Matej Lampre-Merida s.t. 139 Arndt, Nikias Giant-Alpecin s.t. 140 Alafaci, Eugenio Trek-Segafredo s.t. 141 Taciak, Mateusz CCC Sprandi Polkowice s.t. 142 Viviani, Elia Team Sky s.t. 143 Devolder, Stijn Trek-Segafredo s.t. 144 Niyonshuti, Adrien Dimension Data s.t. 145 Smukulis, Gatis Astana s.t. 146 Aregger, Marcel IAM Cycling s.t. 147 Fischer, Murilo FDJ s.t. 148 Koch, Jonas Verva-ActiveJet s.t. 149 Kozonchuk, Dmitry Katusha s.t. 150 De Buyst, Jasper Lotto-Soudal s.t. 151 Barker, Yanto ONE Pro Cycling s.t. 152 Hesjedal, Ryder Trek-Segafredo s.t. 153 Bewley, Sam Orica-BikeExchange s.t. 154 Petrov, Evgeni Tinkoff s.t. 155 Gradek, Kamil Verva-ActiveJet s.t. 157 Vorobyev, Anton Katusha s.t. 158 Stamsnijder, Tom Giant-Alpecin s.t. 159 Denz, Nico Ag2r-La Mondiale s.t. 160 Martinelli, Davide Etixx-Quick Step s.t. 161 Jim, Songezo Dimension Data s.t. 162 Nikolaev, Sergey Gazprom-RusVelo s.t. 163 Boem, Nicola Bardiani-CSF s.t. 164 Colbrelli, Sonny Bardiani-CSF s.t. 165 Waeytens, Zico Giant-Alpecin s.t. 167 Planet, Charles Team Novo Nordisk s.t. 168 Agnoli, Valerio Astana s.t. 169 Simion, Paolo Bardiani-CSF s.t. 170 Walscheid, Max Giant-Alpecin s.t. 171 Batek, Dariusz Poland s.t. 172 Docker, Mitchell Orica-BikeExchange s.t. 173 Costa, Mário Lampre-Merida s.t. 174 Poppel, Boy van Trek-Segafredo s.t. 175 Pelucchi, Matteo IAM Cycling s.t. 176 Goss, Matthew ONE Pro Cycling s.t. 177 Woods, Michael Cannondale-Drapac s.t. 178 Opie, Chris ONE Pro Cycling s.t. 179 Montaguti, Matteo Ag2r-La Mondiale s.t. 180 Brammeier, Matt Dimension Data s.t. 181 Reguigui, Youcef Dimension Data s.t. 182 Armée, Sander Lotto-Soudal s.t. 184 Williams, Chris Team Novo Nordisk s.t. 185 Verschoor, Martijn Team Novo Nordisk s.t. 186 Peron, Andrea Team Novo Nordisk s.t. 187 Guardini, Andrea Astana s.t. 188 Fournier, Marc FDJ s.t. 189 Ferrari, Roberto Lampre-Merida s.t. 190 Kozhatayev, Bakhtiyar Astana s.t. 191 Lozano, David Team Novo Nordisk s.t. 192 Ruffoni, Nicola Bardiani-CSF s.t. 193 Bodnar, Łukasz Verva-ActiveJet s.t. 7 Manzin, Lorenzo FDJ s.t. 8 Modolo, Sacha Lampre-Merida s.t. 9 Haussler, Heinrich IAM Cycling s.t. 10 Kwiatkowski, Michal Team Sky s.t. 11 Gerts, Floris BMC s.t. 12 Gilbert, Philippe BMC s.t. 13 Zieliński, Kamil Poland s.t. 14 Fernández, Rubén Movistar s.t. 15 Benoot, Tiesj Lotto-Soudal s.t. 16 Sagan, Juraj Tinkoff s.t. 17 Chernetski, Sergei Katusha s.t. 18 König, Leopold Team Sky s.t. 19 Restrepo, Jhonatan Katusha s.t. 20 Simón, Jordi Verva-ActiveJet s.t. 21 Clarke, Simon Cannondale-Drapac s.t. 22 Cataldo, Dario Astana s.t. 23 Štybar, Zdeněk Etixx-Quick Step s.t. 24 Jungels, Bob Etixx-Quick Step s.t. 25 Zeits, Andrey Astana s.t. 26 Tleubayev, Ruslan Astana s.t. 27 Wellens, Tim Lotto-Soudal s.t. 28 De Plus, Laurens Etixx-Quick Step s.t. 29 Keukeleire, Jens Orica-BikeExchange s.t. 30 Serry, Pieter Etixx-Quick Step s.t. 34 Kort, Koen de Giant-Alpecin s.t. 35 Smith, Dion ONE Pro Cycling s.t. 36 Ventoso, Francisco Movistar s.t. 37 Urán, Rigoberto Cannondale-Drapac s.t. 38 Quintana, Dayer Movistar s.t. 39 Hansen, Jesper Tinkoff s.t. 41 Hermans, Ben BMC s.t. 43 Vliegen, Loïc BMC s.t. 44 Domagalski, Karol ONE Pro Cycling s.t. 47 Paluta, Michał CCC Sprandi Polkowice s.t. 48 Bettiol, Alberto Cannondale-Drapac s.t. 49 Monfort, Maxime Lotto-Soudal s.t. 50 Cieślik, Paweł Verva-ActiveJet s.t. 51 Sbaragli, Kristian Dimension Data s.t. 52 Bouwman, Koen LottoNL-Jumbo s.t. 53 Lagutin, Sergey Katusha s.t. 54 Špilak, Simon Katusha s.t. 55 Cardoso, André Cannondale-Drapac s.t. 56 Denifl, Stefan IAM Cycling s.t. 57 Großschartner, Felix CCC Sprandi Polkowice s.t. 58 Warbasse, Larry IAM Cycling s.t. 59 Roche, Nicolas Team Sky s.t. 60 Wiśniowski, Łukasz Etixx-Quick Step s.t. 61 Minard, Sébastien Ag2r-La Mondiale s.t. 62 Péraud, Jean-Christophe Ag2r-La Mondiale s.t. 63 Fumeaux, Jonathan IAM Cycling s.t. 64 Formolo, Davide Cannondale-Drapac s.t. 65 Felline, Fabio Trek-Segafredo s.t. 66 van Rensburg, Jacques Dimension Data s.t. 68 Capecchi, Eros Astana s.t. 69 Kolobnev, Alexandr Gazprom-RusVelo s.t. 70 De La Parte, Victor CCC Sprandi Polkowice s.t. 71 Velits, Peter BMC s.t. 73 Castroviejo, Jonathan Movistar s.t. 74 Siutsou, Kanstantsin Dimension Data s.t. 75 Bidard, François Ag2r-La Mondiale s.t. 76 Paterski, Maciej CCC Sprandi Polkowice s.t. 77 Firsanov, Sergey Gazprom-RusVelo s.t. 78 Hník, Karel Verva-ActiveJet s.t. 79 Roglič, Primož LottoNL-Jumbo s.t. 80 Rota, Lorenzo Bardiani-CSF s.t. 81 Brutt, Pavel Tinkoff s.t. 82 Konovalovas, Ignatas FDJ s.t. 83 Elissonde, Kenny FDJ s.t. 84 Visconti, Giovanni Movistar s.t. 86 Kennaugh, Peter Team Sky s.t. 87 Offredo, Yoann FDJ s.t. 88 Puccio, Salvatore Team Sky s.t. 89 Taaramäe, Rein Katusha s.t. 90 Oram, James ONE Pro Cycling s.t. 92 Niemiec, Przemysław Lampre-Merida s.t. 98 Quinziato, Manuel BMC s.t. 100 Battaglin, Enrico LottoNL-Jumbo s.t. 101 Paulinho, Sérgio Tinkoff s.t. 108 Solomennikov, Andrei Gazprom-RusVelo s.t. 124 Franczak, Paweł Verva-ActiveJet s.t. 127 Smukulis, Gatis Astana s.t. 130 Kozonchuk, Dmitry Katusha s.t. 131 Hesjedal, Ryder Trek-Segafredo s.t. 132 Barker, Yanto ONE Pro Cycling s.t. 133 Williams, Peter ONE Pro Cycling s.t. 134 Devolder, Stijn Trek-Segafredo s.t. 137 Alafaci, Eugenio Trek-Segafredo s.t. 139 Szeląg, Gracjan Poland s.t. 140 Kadri, Blel Ag2r-La Mondiale s.t. 141 Petrov, Evgeni Tinkoff s.t. 144 Białobłocki, Marcin ONE Pro Cycling s.t. 145 Niyonshuti, Adrien Dimension Data s.t. 152 Reguigui, Youcef Dimension Data s.t. 155 Woods, Michael Cannondale-Drapac s.t. 156 Batek, Dariusz Poland s.t. 181 Kozhatayev, Bakhtiyar Astana s.t. 183 Peron, Andrea Team Novo Nordisk s.t. 188 Goss, Matthew ONE Pro Cycling s.t. 2 Viviani, Elia Sky s.t. 3 Ewan, Caleb Orica-BikeExchange s.t. 4 Sbaragli, Kristian Dimension Data s.t. 5 Hofland, Moreno LottoNL-Jumbo s.t. 6 Bonifazio, Niccolo Trek-Segafredo s.t. 7 Haussler, Heinrich IAM Cycling s.t. 8 Arndt, Nikias Giant-Alpecin s.t. 9 De Buyst, Jasper Lotto-Soudal s.t. 11 Ruffoni, Nicola Bardiani-CSF s.t. 13 Opie, Chris ONE Pro Cycling s.t. 14 Gerts, Floris BMC s.t. 15 Houle, Hugo Ag2r-La Mondiale s.t. 16 Maikin, Roman Gazprom-RusVelo s.t. 17 Urán, Rigoberto Cannondale-Drapac s.t. 18 Marycz, Jaroslaw CCC Sprandi Polkowice s.t. 19 Ulissi, Diego Lampre-Merida s.t. 20 Kwiatkowski, Michal Sky s.t. 21 Franczak, Paweł Verva-ActiveJet s.t. 22 Bettiol, Alberto Cannondale-Drapac s.t. 23 Gilbert, Philippe BMC s.t. 24 Fernández, Rubén Movistar s.t. 25 Modolo, Sacha Lampre-Merida s.t. 26 Yates, Simon Orica-BikeExchange s.t. 27 Hermans, Ben BMC s.t. 28 Sagan, Juraj Tinkoff s.t. 29 Jungels, Bob Etixx-Quick Step s.t. 30 Quintana, Dayer Movistar s.t. 31 König, Leopold Sky s.t. 32 Kort, Koen de Giant-Alpecin s.t. 33 Benoot, Tiesj Lotto-Soudal s.t. 34 Ventoso, Francisco Movistar s.t. 35 Lagutin, Sergey Team Katusha s.t. 36 Cataldo, Dario Astana s.t. 37 Mohoric, Matej Lampre-Merida s.t. 38 Maes, Nikolas Etixx-Quick Step s.t. 39 De Clercq, Bart Lotto-Soudal s.t. 40 Chernetski, Sergei Team Katusha s.t. 42 Smith, Dion ONE Pro Cycling s.t. 43 Paluta, Michał CCC Sprandi Polkowice s.t. 44 van Rensburg, Jacques Dimension Data s.t. 45 Restrepo, Jhonatan Team Katusha s.t. 46 Minard, Sébastien Ag2r-La Mondiale s.t. 47 Zeits, Andrey Astana s.t. 48 Martinelli, Davide Etixx-Quick Step s.t. 49 Domagalski, Karol ONE Pro Cycling s.t. 50 Campenaerts, Victor LottoNL-Jumbo s.t. 51 Haig, Jack Orica-BikeExchange s.t. 52 Wellens, Tim Lotto-Soudal s.t. 53 Gołaś, Michal Sky s.t. 54 Clarke, Simon Cannondale-Drapac s.t. 56 Štybar, Zdeněk Etixx-Quick Step s.t. 57 Formolo, Davide Cannondale-Drapac s.t. 58 Velits, Peter BMC s.t. 59 Monfort, Maxime Lotto-Soudal s.t. 60 Denifl, Stefan IAM Cycling s.t. 61 De Plus, Laurens Etixx-Quick Step s.t. 62 Simón, Jordi Verva-ActiveJet s.t. 63 Vliegen, Loïc BMC s.t. 64 Beppu, Fumiyuki Trek-Segafredo s.t. 65 Smukulis, Gatis Astana s.t. 66 Warbasse, Larry IAM Cycling s.t. 67 Cieślik, Paweł Verva-ActiveJet s.t. 68 Mori, Manuele Lampre-Merida s.t. 69 Špilak, Simon Team Katusha s.t. 70 Firsanov, Sergey Gazprom-RusVelo s.t. 71 Roche, Nicolas Sky s.t. 72 Wiśniowski, Łukasz Etixx-Quick Step s.t. 73 Ferrari, Roberto Lampre-Merida s.t. 74 Capecchi, Eros Astana s.t. 75 Guardini, Andrea Astana s.t. 76 Kolobnev, Alexandr Gazprom-RusVelo s.t. 77 Konovalovas, Ignatas FDJ s.t. 78 Kluge, Roger IAM Cycling s.t. 79 Hník, Karel Verva-ActiveJet s.t. 80 Bidard, François Ag2r-La Mondiale s.t. 81 Péraud, Jean-Christophe Ag2r-La Mondiale s.t. 82 Poppel, Boy van Trek-Segafredo s.t. 83 Taaramäe, Rein Team Katusha s.t. 84 Tleubayev, Ruslan Astana s.t. 85 Roglič, Primož LottoNL-Jumbo s.t. 86 Großschartner, Felix CCC Sprandi Polkowice s.t. 87 Fumeaux, Jonathan IAM Cycling s.t. 88 Simion, Paolo Bardiani-CSF s.t. 89 Bérard, Julien Ag2r-La Mondiale s.t. 90 Visconti, Giovanni Movistar s.t. 91 Felline, Fabio Trek-Segafredo s.t. 92 Castroviejo, Jonathan Movistar s.t. 93 Bouwman, Koen LottoNL-Jumbo s.t. 94 Barbin, Enrico Bardiani-CSF s.t. 95 De La Parte, Victor CCC Sprandi Polkowice s.t. 96 Paterski, Maciej CCC Sprandi Polkowice s.t. 97 Battaglin, Enrico LottoNL-Jumbo s.t. 98 Woods, Michael Cannondale-Drapac s.t. 99 Barker, Yanto ONE Pro Cycling s.t. 100 Villella, Davide Cannondale-Drapac s.t. 101 Kozonchuk, Dmitry Team Katusha s.t. 102 Vermeulen, Alexey LottoNL-Jumbo s.t. 103 Brutt, Pavel Tinkoff s.t. 104 Serry, Pieter Etixx-Quick Step s.t. 105 Puccio, Salvatore Sky s.t. 106 Offredo, Yoann FDJ s.t. 107 Petilli, Simone Lampre-Merida s.t. 108 Rota, Lorenzo Bardiani-CSF s.t. 109 Elissonde, Kenny FDJ s.t. 110 Fraile, Omar Dimension Data s.t. 111 Williams, Peter ONE Pro Cycling s.t. 112 Trofimov, Yuri Tinkoff s.t. 113 Valls, Rafael Lotto-Soudal s.t. 114 Skujiņš, Toms Cannondale-Drapac s.t. 115 Nikolaev, Sergey Gazprom-RusVelo s.t. 116 Walscheid, Max Giant-Alpecin s.t. 117 Keukeleire, Jens Orica-BikeExchange s.t. 118 Hesjedal, Ryder Trek-Segafredo s.t. 119 Paulinho, Sérgio Tinkoff s.t. 120 Kennaugh, Peter Sky s.t. 121 Reguigui, Youcef Dimension Data s.t. 122 Batek, Dariusz Poland s.t. 123 Solomennikov, Andrei Gazprom-RusVelo s.t. 124 Siutsou, Kanstantsin Dimension Data s.t. 125 Amador, Andrey Movistar s.t. 126 Mejías, Javier Team Novo Nordisk s.t. 127 Konwa, Piotr Poland s.t. 128 Niemiec, Przemysław Lampre-Merida s.t. 129 Devolder, Stijn Trek-Segafredo s.t. 130 Oram, James ONE Pro Cycling s.t. 137 Bodnar, Łukasz Verva-ActiveJet s.t. 138 Denz, Nico Ag2r-La Mondiale s.t. 141 Szeląg, Gracjan Poland s.t. 142 Planet, Charles Team Novo Nordisk s.t. 143 Bennati, Daniele Tinkoff s.t. 144 Sutherland, Rory Movistar s.t. 145 Vorobyev, Anton Team Katusha s.t. 146 Kadri, Blel Ag2r-La Mondiale s.t. 147 Quinziato, Manuel BMC s.t. 148 Alafaci, Eugenio Trek-Segafredo s.t. 149 Dowsett, Alex Movistar s.t. 150 Peron, Andrea Team Novo Nordisk s.t. 151 Petrov, Evgeni Tinkoff s.t. 152 Hernández, Jesús Tinkoff s.t. 153 Kozhatayev, Bakhtiyar Astana s.t. 154 Clancy, Stephen Team Novo Nordisk s.t. 155 Boev, Igor Gazprom-RusVelo s.t. 156 Leezer, Tom LottoNL-Jumbo s.t. 163 Verschoor, Martijn Team Novo Nordisk s.t. 164 Saramotins, Aleksejs IAM Cycling s.t. 165 Białobłocki, Marcin ONE Pro Cycling s.t. 166 Niyonshuti, Adrien Dimension Data s.t. 167 Wyss, Danilo BMC s.t. 169 Fröhlinger, Johannes Giant-Alpecin s.t. 170 Kasperkiewicz, Przemyslaw Poland s.t. 171 Stamsnijder, Tom Giant-Alpecin s.t. 172 Savitskiy, Ivan Gazprom-RusVelo s.t. 176 Coledan, Marco Trek-Segafredo s.t. 179 Owsian, Łukasz CCC Sprandi Polkowice s.t. 181 Costa, Mário Lampre-Merida s.t. 182 Jim, Songezo Dimension Data s.t. 183 Stachowiak, Adam Verva-ActiveJet s.t. 184 Aregger, Marcel IAM Cycling s.t. 188 Le Bon, Johan FDJ s.t. 192 Docker, Mitchell Orica-BikeExchange s.t. 193 Goss, Matthew ONE Pro Cycling s.t. 194 De Marchi, Alessandro BMC s.t. 197 Tuft, Svein Orica-BikeExchange s.t. 6 Arndt, Nikias Giant-Alpecin s.t. 7 Bonifazio, Niccolo Trek-Segafredo s.t. 8 Manzin, Lorenzo FDJ s.t. 9 Kwiatkowski, Michal Sky s.t. 10 Gilbert, Philippe BMC s.t. 11 Maikin, Roman Gazprom-RusVelo s.t. 13 Ruffoni, Nicola Bardiani-CSF s.t. 14 Modolo, Sacha Lampre-Merida s.t. 15 Franczak, Paweł Verva-ActiveJet s.t. 16 Fernández, Rubén Movistar s.t. 17 Zieliński, Kamil Poland s.t. 18 Opie, Chris ONE Pro Cycling s.t. 19 Haussler, Heinrich IAM Cycling s.t. 20 Benoot, Tiesj Lotto-Soudal s.t. 21 König, Leopold Sky s.t. 22 Sagan, Juraj Tinkoff s.t. 23 Chernetski, Sergei Team Katusha s.t. 25 Štybar, Zdeněk Etixx-Quick Step s.t. 26 Wellens, Tim Lotto-Soudal s.t. 27 Cataldo, Dario Astana s.t. 28 Maes, Nikolas Etixx-Quick Step s.t. 29 Zeits, Andrey Astana s.t. 30 Restrepo, Jhonatan Team Katusha s.t. 32 Gołaś, Michal Sky s.t. 33 De Plus, Laurens Etixx-Quick Step s.t. 34 Simón, Jordi Verva-ActiveJet s.t. 35 Tleubayev, Ruslan Astana s.t. 36 Reguigui, Youcef Dimension Data s.t. 37 Serry, Pieter Etixx-Quick Step s.t. 38 Keukeleire, Jens Orica-BikeExchange s.t. 42 Kort, Koen de Giant-Alpecin s.t. 43 Quintana, Dayer Movistar s.t. 44 Ventoso, Francisco Movistar s.t. 45 De Buyst, Jasper Lotto-Soudal s.t. 48 Smith, Dion ONE Pro Cycling s.t. 49 Hansen, Jesper Tinkoff s.t. 50 Paluta, Michał CCC Sprandi Polkowice s.t. 52 Campenaerts, Victor LottoNL-Jumbo s.t. 53 Urán, Rigoberto Cannondale-Drapac s.t. 54 Monfort, Maxime Lotto-Soudal s.t. 55 Denifl, Stefan IAM Cycling s.t. 56 Domagalski, Karol ONE Pro Cycling s.t. 57 Bettiol, Alberto Cannondale-Drapac s.t. 58 Cieślik, Paweł Verva-ActiveJet s.t. 59 van Rensburg, Jacques Dimension Data s.t. 60 Cardoso, André Cannondale-Drapac s.t. 61 Špilak, Simon Team Katusha s.t. 62 Mori, Manuele Lampre-Merida s.t. 63 Formolo, Davide Cannondale-Drapac s.t. 64 Vliegen, Loïc BMC s.t. 65 Bouwman, Koen LottoNL-Jumbo s.t. 66 Mohoric, Matej Lampre-Merida s.t. 67 Velits, Peter BMC s.t. 68 Beppu, Fumiyuki Trek-Segafredo s.t. 69 Fumeaux, Jonathan IAM Cycling s.t. 70 Minard, Sébastien Ag2r-La Mondiale s.t. 72 Felline, Fabio Trek-Segafredo s.t. 74 Lagutin, Sergey Team Katusha s.t. 75 Wiśniowski, Łukasz Etixx-Quick Step s.t. 76 Capecchi, Eros Astana s.t. 77 Warbasse, Larry IAM Cycling s.t. 79 Sbaragli, Kristian Dimension Data s.t. 80 Bérard, Julien Ag2r-La Mondiale s.t. 81 Guardini, Andrea Astana s.t. 82 Rota, Lorenzo Bardiani-CSF s.t. 83 Firsanov, Sergey Gazprom-RusVelo s.t. 85 Walscheid, Max Giant-Alpecin s.t. 86 Smukulis, Gatis Astana s.t. 87 Kolobnev, Alexandr Gazprom-RusVelo s.t. 88 Großschartner, Felix CCC Sprandi Polkowice s.t. 89 Bidard, François Ag2r-La Mondiale s.t. 90 Péraud, Jean-Christophe Ag2r-La Mondiale s.t. 91 Villella, Davide Cannondale-Drapac s.t. 92 De La Parte, Victor CCC Sprandi Polkowice s.t. 93 Brutt, Pavel Tinkoff s.t. 94 Siutsou, Kanstantsin Dimension Data s.t. 95 Skujiņš, Toms Cannondale-Drapac s.t. 96 Roglič, Primož LottoNL-Jumbo s.t. 97 Konwa, Piotr Poland s.t. 98 Visconti, Giovanni Movistar s.t. 99 Castroviejo, Jonathan Movistar s.t. 100 Konovalovas, Ignatas FDJ s.t. 101 Woods, Michael Cannondale-Drapac s.t. 102 Kozonchuk, Dmitry Team Katusha s.t. 103 Nikolaev, Sergey Gazprom-RusVelo s.t. 104 Hesjedal, Ryder Trek-Segafredo s.t. 105 Petilli, Simone Lampre-Merida s.t. 106 Kennaugh, Peter Sky s.t. 107 Barker, Yanto ONE Pro Cycling s.t. 108 Vermeulen, Alexey LottoNL-Jumbo s.t. 109 Amador, Andrey Movistar s.t. 110 Trofimov, Yuri Tinkoff s.t. 111 Elissonde, Kenny FDJ s.t. 114 Puccio, Salvatore Sky s.t. 115 Barbin, Enrico Bardiani-CSF s.t. 116 Paulinho, Sérgio Tinkoff s.t. 117 Oram, James ONE Pro Cycling s.t. 118 Williams, Peter ONE Pro Cycling s.t. 119 Mejías, Javier Team Novo Nordisk s.t. 120 Niemiec, Przemysław Lampre-Merida s.t. 121 Devolder, Stijn Trek-Segafredo s.t. 122 Fraile, Omar Dimension Data s.t. 123 Batek, Dariusz Poland s.t. 124 Taaramäe, Rein Team Katusha s.t. 125 Solomennikov, Andrei Gazprom-RusVelo s.t. 126 Offredo, Yoann FDJ s.t. 131 Samoilau, Branislau CCC Sprandi Polkowice s.t. 132 Bodnar, Łukasz Verva-ActiveJet s.t. 135 Kozhatayev, Bakhtiyar Astana s.t. 139 Planet, Charles Team Novo Nordisk s.t. 140 Sutherland, Rory Movistar s.t. 141 Bennati, Daniele Tinkoff s.t. 142 Szeląg, Gracjan Poland s.t. 143 Petrov, Evgeni Tinkoff s.t. 144 Clancy, Stephen Team Novo Nordisk s.t. 145 Hernández, Jesús Tinkoff s.t. 147 Peron, Andrea Team Novo Nordisk s.t. 148 Quinziato, Manuel BMC s.t. 154 Lozano, David Team Novo Nordisk s.t. 155 Kasperkiewicz, Przemyslaw Poland s.t. 156 Niyonshuti, Adrien Dimension Data s.t. 157 Białobłocki, Marcin ONE Pro Cycling s.t. 158 Fröhlinger, Johannes Giant-Alpecin s.t. 159 Verschoor, Martijn Team Novo Nordisk s.t. 167 Jim, Songezo Dimension Data s.t. 168 Stachowiak, Adam Verva-ActiveJet s.t. 169 Aregger, Marcel IAM Cycling s.t. 190 Goss, Matthew ONE Pro Cycling s.t. A confusing and technical final kilometer saw our Italian neo-pro Davide Martinelli emerge victorious on stage 1. We're midway through the season and Davide Martinelli can already run for the best neo-pro rider of 2016 award. After joining the team in the winter, the rider who hails from Brescia needed just eight days to notch up his maiden victory of the year, which came at the inaugural edition of Tour La Provence. After that success, he combined team duty with strong individual results, such as the top 10 finishes he got in the general classification of Ster ZLM Toer and in the individual time trial race at the National Championships. After his home race, Davide took a break and began building for the second half of the season, which he kicked off at the Tour de Pologne, on Tuesday, with a flat stage between Radzymin and Warsaw, over a distance of just 138 kilometers. On paper, the parcours was flat, but still had several traps for the riders inside the last kilometers, when an uphill drag, a cobbled section and a few technical corners were poised to make the fight for the win more exciting and difficult. Six men left in a breakaway at the start of the day, but with the route being a rather short one, they weren't allowed to take more than three minutes on the pack, which was controlled by Etixx – Quick-Step (with the help of a very strong Lukasz Wisniowski), Katusha and Orica-GreenEdge. With 20 kilometers to go, they were reeled in and that was the cue for Maciej Paterski (CCC Sprandi Polkowice) to try his luck, but the attack he put in was to no avail, because the bunch quickly took back the 20 seconds that were separating them. Just as the riders were entering the final kilometer, Michal Kwiatkowski (Team Sky) tried to forge a gap, but was immediately countered by Tirreno-Adriatico stage winner Zdenek Stybar. The peloton soon split and in the chaos created, Philippe Gilbert (BMC) tried to take advantage of the situation and accelerated, but Davide Martinelli came on the Belgian's tail, passed right by him and continued all the way to the line, scoring his first World Tour victory of the season. Etixx – Quick-Step's perfect day was rounded out by the strong placings of Fernando Gaviria and Stybar, who finished second, respectively fourth, their results taking the squad to the top of the teams standings. "In the last kilometer, just before the cobbled part, I took the corner full gas and saw Stybar pass me, as he was closing an attack of Kwiatkowski. Then I followed Gilbert, who made a move, and seized the moment. I looked over my shoulder twice, noticed that I have a gap and realized I can win. It's a dream to take my maiden World Tour victory and I'm very happy. 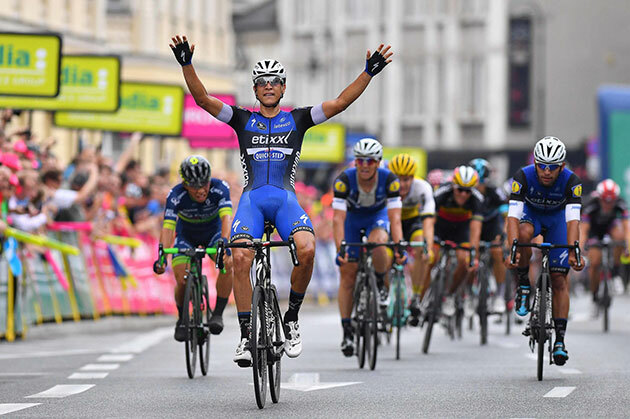 It's a special day which I'll always remember", said 23-year-old Davide Martinelli – the first leader of the Tour de Pologne – who nabbed Etixx – Quick-Step's 35th victory of the season. 2 Gaviria, Fernando Etixx-Quick Step s.t. 4 Štybar, Zdeněk Etixx-Quick Step s.t. 6 Gilbert, Philippe BMC s.t. 7 Réza, Kévin FDJ s.t. 8 Kwiatkowski, Michal Sky s.t. 9 Wellens, Tim Lotto-Soudal s.t. 10 Modolo, Sacha Lampre-Merida s.t. 11 Manzin, Lorenzo FDJ s.t. 12 Benoot, Tiesj Lotto-Soudal s.t. 13 Arndt, Nikias Giant-Alpecin s.t. 15 Fernández, Rubén Movistar s.t. 16 Bonifazio, Niccolo Trek-Segafredo s.t. 18 Franczak, Paweł Verva-ActiveJet s.t. 20 Gerts, Floris BMC s.t. 22 Ulissi, Diego Lampre-Merida s.t. 23 Tleubayev, Ruslan Astana s.t. 24 Ruffoni, Nicola Bardiani-CSF s.t. 25 Sagan, Juraj Tinkoff s.t. 26 Clarke, Simon Cannondale-Drapac s.t. 27 Opie, Chris ONE Pro Cycling s.t. 28 Keukeleire, Jens Orica-BikeExchange s.t. 30 Zieliński, Kamil Poland s.t. 31 Gołaś, Michal Sky s.t. 32 Zeits, Andrey Astana s.t. 34 Haussler, Heinrich IAM Cycling s.t. 35 Restrepo, Jhonatan Katusha s.t. 36 Simón, Jordi Verva-ActiveJet s.t. 37 Cataldo, Dario Astana s.t. 38 Serry, Pieter Etixx-Quick Step s.t. 39 Maes, Nikolas Etixx-Quick Step s.t. 41 Houle, Hugo Ag2r-La Mondiale s.t. 44 Haig, Jack Orica-BikeExchange s.t. 46 Smith, Dion ONE Pro Cycling s.t. 47 Rutkiewicz, Marek Poland s.t. 48 Bouwman, Koen LottoNL-Jumbo s.t. 49 Campenaerts, Victor LottoNL-Jumbo s.t. 50 Hansen, Jesper Tinkoff s.t. 51 Paluta, Michał CCC Sprandi Polkowice s.t. 52 Monfort, Maxime Lotto-Soudal s.t. 54 Docker, Mitchell Orica-BikeExchange s.t. 55 Montaguti, Matteo Ag2r-La Mondiale s.t. 56 Walscheid, Max Giant-Alpecin s.t. 57 Fumeaux, Jonathan IAM Cycling s.t. 59 Hermans, Ben BMC s.t. 60 Špilak, Simon Katusha s.t. 61 Felline, Fabio Trek-Segafredo s.t. 62 Rota, Lorenzo Bardiani-CSF s.t. 63 Mori, Manuele Lampre-Merida s.t. 64 Yates, Simon Orica-BikeExchange s.t. 65 Gradek, Kamil Verva-ActiveJet s.t. 66 Boev, Igor Gazprom-RusVelo s.t. 67 Konwa, Piotr Poland s.t. 68 Siutsou, Kanstantsin Dimension Data s.t. 69 De Buyst, Jasper Lotto-Soudal s.t. 70 Vliegen, Loïc BMC s.t. 71 Saramotins, Aleksejs IAM Cycling s.t. 74 Domagalski, Karol ONE Pro Cycling s.t. 75 Formolo, Davide Cannondale-Drapac s.t. 77 Bérard, Julien Ag2r-La Mondiale s.t. 78 Roche, Nicolas Sky s.t. 79 Skujiņš, Toms Cannondale-Drapac s.t. 80 Beppu, Fumiyuki Trek-Segafredo s.t. 82 Villella, Davide Cannondale-Drapac s.t. 83 van Rensburg, Jacques Dimension Data s.t. 84 Hník, Karel Verva-ActiveJet s.t. 85 Velits, Peter BMC s.t. 86 Capecchi, Eros Astana s.t. 87 Wiśniowski, Łukasz Etixx-Quick Step s.t. 88 Urán, Rigoberto Cannondale-Drapac s.t. 89 De La Parte, Victor CCC Sprandi Polkowice s.t. 90 Großschartner, Felix CCC Sprandi Polkowice s.t. 91 Kennaugh, Peter Sky s.t. 92 Hesjedal, Ryder Trek-Segafredo s.t. 93 Amador, Andrey Movistar s.t. 94 Guardini, Andrea Astana s.t. 95 Nikolaev, Sergey Gazprom-RusVelo s.t. 96 Warbasse, Larry IAM Cycling s.t. 97 Péraud, Jean-Christophe Ag2r-La Mondiale s.t. 98 Bidard, François Ag2r-La Mondiale s.t. 100 Kolobnev, Alexandr Gazprom-RusVelo s.t. 101 Firsanov, Sergey Gazprom-RusVelo s.t. 102 Bettiol, Alberto Cannondale-Drapac s.t. 103 Lozano, David Team Novo Nordisk s.t. 104 Petilli, Simone Lampre-Merida s.t. 105 Mohoric, Matej Lampre-Merida s.t. 106 Woods, Michael Cannondale-Drapac s.t. 107 Kozonchuk, Dmitry Katusha s.t. 108 Trofimov, Yuri Tinkoff s.t. 109 Roglič, Primož LottoNL-Jumbo s.t. 110 Smukulis, Gatis Astana s.t. 111 Castroviejo, Jonathan Movistar s.t. 112 Alafaci, Eugenio Trek-Segafredo s.t. 113 Visconti, Giovanni Movistar s.t. 114 Denz, Nico Ag2r-La Mondiale s.t. 115 Oram, James ONE Pro Cycling s.t. 116 Vermeulen, Alexey LottoNL-Jumbo s.t. 117 Valls, Rafael Lotto-Soudal s.t. 118 Barker, Yanto ONE Pro Cycling s.t. 119 Elissonde, Kenny FDJ s.t. 120 Dowsett, Alex Movistar s.t. 121 Owsian, Łukasz CCC Sprandi Polkowice s.t. 122 Niemiec, Przemysław Lampre-Merida s.t. 123 Lagutin, Sergey Katusha s.t. 124 Mejías, Javier Team Novo Nordisk s.t. 125 Paulinho, Sérgio Tinkoff s.t. 126 Devolder, Stijn Trek-Segafredo s.t. 127 Konovalovas, Ignatas FDJ s.t. 128 Puccio, Salvatore Sky s.t. 129 Planet, Charles Team Novo Nordisk s.t. 130 Sutherland, Rory Movistar s.t. 131 Taciak, Mateusz CCC Sprandi Polkowice s.t. 132 Battaglin, Enrico LottoNL-Jumbo s.t. 133 Armée, Sander Lotto-Soudal s.t. 134 Bennati, Daniele Tinkoff s.t. 135 Samoilau, Branislau CCC Sprandi Polkowice s.t. 136 Marycz, Jaroslaw CCC Sprandi Polkowice s.t. 138 Williams, Peter ONE Pro Cycling s.t. 139 Le Bon, Johan FDJ s.t. 140 Kasperkiewicz, Przemyslaw Poland s.t. 142 Detko, Artur Poland s.t. 143 Brammeier, Matt Dimension Data s.t. 144 Barbin, Enrico Bardiani-CSF s.t. 145 Batek, Dariusz Poland s.t. 146 Koch, Jonas Verva-ActiveJet s.t. 147 Fraile, Omar Dimension Data s.t. 148 Niyonshuti, Adrien Dimension Data s.t. 149 Clancy, Stephen Team Novo Nordisk s.t. 150 Petrov, Evgeni Tinkoff s.t. 151 Jim, Songezo Dimension Data s.t. 152 Białobłocki, Marcin ONE Pro Cycling s.t. 153 Stachowiak, Adam Verva-ActiveJet s.t. 154 Solomennikov, Andrei Gazprom-RusVelo s.t. 155 Hernández, Jesús Tinkoff s.t. 156 Aregger, Marcel IAM Cycling s.t. 157 Mamykin, Matvei Katusha s.t. 159 Fournier, Marc FDJ s.t. 160 Agnoli, Valerio Astana s.t. 161 Peron, Andrea Team Novo Nordisk s.t. 162 Sbaragli, Kristian Dimension Data s.t. 163 Ovechkin, Artem Gazprom-RusVelo s.t. 164 Kadri, Blel Ag2r-La Mondiale s.t. 165 Goss, Matthew ONE Pro Cycling s.t. 166 Quinziato, Manuel BMC s.t. 167 Boem, Nicola Bardiani-CSF s.t. 168 Tonelli, Alessandro Bardiani-CSF s.t. 169 Maestri, Mirco Bardiani-CSF s.t. 170 Verschoor, Martijn Team Novo Nordisk s.t. 176 Stamsnijder, Tom Giant-Alpecin s.t. 178 De Backer, Bert Giant-Alpecin s.t. 180 Colbrelli, Sonny Bardiani-CSF s.t. 181 Leezer, Tom LottoNL-Jumbo s.t. 184 Vervaeke, Louis Lotto-Soudal s.t. 185 Mezgec, Luka Orica-BikeExchange s.t. 187 Wyss, Danilo BMC s.t. 192 Fischer, Murilo FDJ s.t. 194 Vorobyev, Anton Katusha s.t. 195 Tuft, Svein Orica-BikeExchange s.t. 44 Houle, Hugo Ag2r-La Mondiale s.t. 46 Ventoso, Francisco Movistar s.t. 47 Haig, Jack Orica-BikeExchange s.t. 48 Quintana, Dayer Movistar s.t. 49 Smith, Dion ONE Pro Cycling s.t. 50 Rutkiewicz, Marek Poland s.t. 51 Bouwman, Koen LottoNL-Jumbo s.t. 53 Hansen, Jesper Tinkoff s.t. 54 Paluta, Michał CCC Sprandi Polkowice s.t. 55 Monfort, Maxime Lotto-Soudal s.t. 57 Docker, Mitchell Orica-BikeExchange s.t. 58 Montaguti, Matteo Ag2r-La Mondiale s.t. 59 Walscheid, Max Giant-Alpecin s.t. 60 Fumeaux, Jonathan IAM Cycling s.t. 61 Cieślik, Paweł Verva-ActiveJet s.t. 62 Hermans, Ben BMC s.t. 63 Špilak, Simon Katusha s.t. 64 Felline, Fabio Trek-Segafredo s.t. 65 Rota, Lorenzo Bardiani-CSF s.t. 66 Mori, Manuele Lampre-Merida s.t. 67 Yates, Simon Orica-BikeExchange s.t. 68 Gradek, Kamil Verva-ActiveJet s.t. 69 Boev, Igor Gazprom-RusVelo s.t. 70 Konwa, Piotr Poland s.t. 71 Siutsou, Kanstantsin Dimension Data s.t. 72 De Buyst, Jasper Lotto-Soudal s.t. 73 Vliegen, Loïc BMC s.t. 74 Saramotins, Aleksejs IAM Cycling s.t. 75 Cardoso, André Cannondale-Drapac s.t. 76 Poppel, Boy van Trek-Segafredo s.t. 77 Domagalski, Karol ONE Pro Cycling s.t. 78 Formolo, Davide Cannondale-Drapac s.t. 79 Paterski, Maciej CCC Sprandi Polkowice s.t. 81 Roche, Nicolas Sky s.t. 82 Skujiņš, Toms Cannondale-Drapac s.t. 83 Beppu, Fumiyuki Trek-Segafredo s.t. 84 Brutt, Pavel Tinkoff s.t. 85 Villella, Davide Cannondale-Drapac s.t. 86 van Rensburg, Jacques Dimension Data s.t. 87 Hník, Karel Verva-ActiveJet s.t. 88 Velits, Peter BMC s.t. 89 Capecchi, Eros Astana s.t. 90 Wiśniowski, Łukasz Etixx-Quick Step s.t. 91 Urán, Rigoberto Cannondale-Drapac s.t. 93 Großschartner, Felix CCC Sprandi Polkowice s.t. 94 Kennaugh, Peter Sky s.t. 95 Hesjedal, Ryder Trek-Segafredo s.t. 96 Amador, Andrey Movistar s.t. 97 Guardini, Andrea Astana s.t. 98 Nikolaev, Sergey Gazprom-RusVelo s.t. 99 Warbasse, Larry IAM Cycling s.t. 100 Péraud, Jean-Christophe Ag2r-La Mondiale s.t. 101 Bidard, François Ag2r-La Mondiale s.t. 102 Minard, Sébastien Ag2r-La Mondiale s.t. 103 Kolobnev, Alexandr Gazprom-RusVelo s.t. 104 Firsanov, Sergey Gazprom-RusVelo s.t. 105 Bettiol, Alberto Cannondale-Drapac s.t. 106 Lozano, David Team Novo Nordisk s.t. 108 Mohoric, Matej Lampre-Merida s.t. 109 Woods, Michael Cannondale-Drapac s.t. 110 Kozonchuk, Dmitry Katusha s.t. 111 Trofimov, Yuri Tinkoff s.t. 112 Roglič, Primož LottoNL-Jumbo s.t. 113 Smukulis, Gatis Astana s.t. 114 Castroviejo, Jonathan Movistar s.t. 115 Alafaci, Eugenio Trek-Segafredo s.t. 116 Visconti, Giovanni Movistar s.t. 117 Denz, Nico Ag2r-La Mondiale s.t. 118 Oram, James ONE Pro Cycling s.t. 119 Vermeulen, Alexey LottoNL-Jumbo s.t. 120 Valls, Rafael Lotto-Soudal s.t. 121 Barker, Yanto ONE Pro Cycling s.t. 122 Elissonde, Kenny FDJ s.t. 123 Dowsett, Alex Movistar s.t. 124 Owsian, Łukasz CCC Sprandi Polkowice s.t. 125 Niemiec, Przemysław Lampre-Merida s.t. 126 Lagutin, Sergey Katusha s.t. 127 Mejías, Javier Team Novo Nordisk s.t. 128 Paulinho, Sérgio Tinkoff s.t. 130 Konovalovas, Ignatas FDJ s.t. 131 Puccio, Salvatore Sky s.t. 132 Planet, Charles Team Novo Nordisk s.t. 133 Sutherland, Rory Movistar s.t. 134 Taciak, Mateusz CCC Sprandi Polkowice s.t. 135 Battaglin, Enrico LottoNL-Jumbo s.t. 136 Armée, Sander Lotto-Soudal s.t. 137 Bennati, Daniele Tinkoff s.t. 139 Bodnar, Łukasz Verva-ActiveJet s.t. 140 Williams, Peter ONE Pro Cycling s.t. 141 Le Bon, Johan FDJ s.t. 142 Kasperkiewicz, Przemyslaw Poland s.t. 143 Szeląg, Gracjan Poland s.t. 144 Detko, Artur Poland s.t. 145 Brammeier, Matt Dimension Data s.t. 146 Barbin, Enrico Bardiani-CSF s.t. 147 Batek, Dariusz Poland s.t. 148 Fraile, Omar Dimension Data s.t. 149 Niyonshuti, Adrien Dimension Data s.t. 150 Clancy, Stephen Team Novo Nordisk s.t. 152 Jim, Songezo Dimension Data s.t. 153 Białobłocki, Marcin ONE Pro Cycling s.t. 154 Stachowiak, Adam Verva-ActiveJet s.t. 155 Solomennikov, Andrei Gazprom-RusVelo s.t. 156 Hernández, Jesús Tinkoff s.t. 157 Aregger, Marcel IAM Cycling s.t. 158 Mamykin, Matvei Katusha s.t. 159 Fröhlinger, Johannes Giant-Alpecin s.t. 171 Kozhatayev, Bakhtiyar Astana s.t. 172 Offredo, Yoann FDJ s.t. 173 Taaramäe, Rein Katusha s.t. 179 Stamsnijder, Tom Giant-Alpecin s.t. 181 De Backer, Bert Giant-Alpecin s.t. 183 Colbrelli, Sonny Bardiani-CSF s.t. 184 Leezer, Tom LottoNL-Jumbo s.t. 186 Vervaeke, Louis Lotto-Soudal s.t. 187 Mezgec, Luka Orica-BikeExchange s.t. 189 Wyss, Danilo BMC s.t.